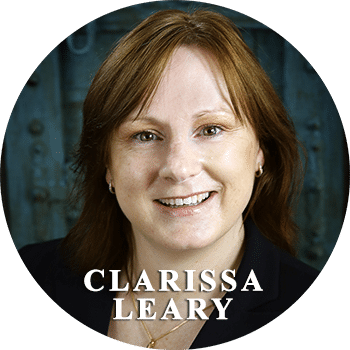 Clarissa Leary is a passionate business owner in Tasmania from property development to personal and business mentoring. Clarissa has worked and trained with some of the most Influential Entrepreneur’s around the world and has rapidly increased her personal growth and awareness, financial abundance and business development through strategic strategies and experience. She is well known for her passionate drive and how her own personal learning and awareness can rapidly bring increased business success, in the meaning, that if you teach yourself you will be rewarded in business, relationships and life. She travels regularly for business and with family and utilises the best experts from around the world. Clarissa started her life from living in the housing areas of Hobart to owning a rural retreat. She disliked school and quickly realised that she didn’t want to continue on that learning path. From a childhood trauma that shattered her personal growth right up to her late twenties. A complete life change after the birth on her first child, gave her a reason for change, seeking out as much information on her first business venture of property investing and then personal development books and cd’s. She ventured into her first property, which she still owns today as a rental, this brought on a passion that still grows now. She loves property and has made many successful deals of rentals, renovations, new homes, strata’s, subdivisions and even moving houses. She then moved into other area’s of business from Property Network Hub – Tasmanian.properties, Tourism – Mt Rumney Escapes to her Life Purpose of Helping others with Personal and Business Development with the Global Information Network where is a Level 5 Candidate (The World’s most Powerful Successful Club with Global Experienced Experts) and Creatrix® – Transforming Women. You can work with Clarissa and join the GIN United™ and have access to the most powerful entrepreneurs around the world – contact Clarissa for more information or listen to the Your Wish Is Your Command Series. For those women who are ready to be taken on a journey of a full life transformation, Clarissa is a Licenced Creatrix ® Transformologist®. This means that she can help women release their deepest mental and emotional blocks that have been holding them back from moving forward in their lives and that is stopping them from breaking cycles that has been sabotaging them in Relationships, Life and Business. You can work with Clarissa by contacting her. Clarissa has worked and learned from Mentor Brendan Nichols, Ron Cruickshank, Creatrix® Team, GIN United™ and other Business Experts around the world to bring the latest and most successful strategies from Experts who have been where you are and have want you want – Who do you listen too? From those who have the life experience. Clarissa is focussed on changing lives for Women all around the world as a Creatrix® Transformologist® – Transformations are painless and break through deeply ingrained mindset patterns FAST, it lasts indefinitely and is being hailed by the industry experts as the future in personal development and therapy for women. Clarissa is focussed on changing lives with the worlds’ most powerful success club – creating life long changes for Wealth, Health, Financial, Abundance and Business Opportunities – Network with the best.